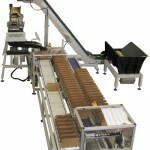 Comcount manufacture a comprehensive range of carton handling systems designed to automatically present cartons to one of our linear weighing machines in carton filling applications. The units are available in a number of different sizes and configurations suitable for handling the smallest cartons up to systems for bulk cartons and automotive KLT returnables. 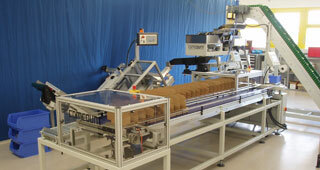 The systems can be arranged in a U configuration with an operator loading the system at one point. 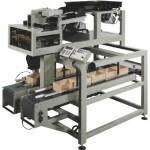 Or they can be custom built to include automatic carton erecting, closing and labelling systems. Modular range of carton presentation systems, which can be supplied in a number of different sizes and configurations – incorporating erecting, closing and labelling systems if required. Two different models of compact carton presentation systems designed to work with Comcount mid range or bulk weighers to produce a semi automatic filling system.